Ground Force exercises over 20 years of experience in Geo Construction and General Engineering providing for the structural stabilization of large commercial buildings, tower foundations and heavy equipment foundations. 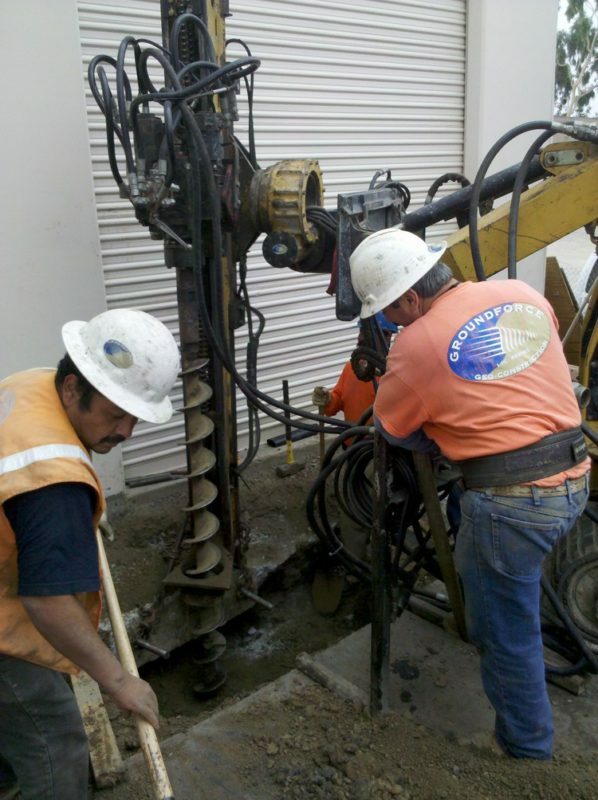 Helical Pier technology is an excellent deep foundation solution offering versatility and cost-effectiveness whether applied to new construction or existing structural stabilization and support. Other applications include Helical Anchor / Tiebacks providing lateral stability to foundation walls and retaining walls with unbalanced earth pressures. Helical tieback anchors are used in conjunction with a variety of earth retaining systems such as sheet piles and soldier piles in order to provide additional lateral resistance beyond what is achievable by a cantilevered wall. Seawall Construction – La Jolla Ca.